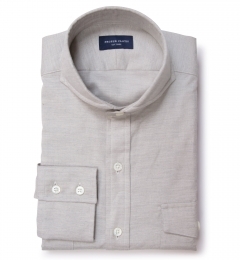 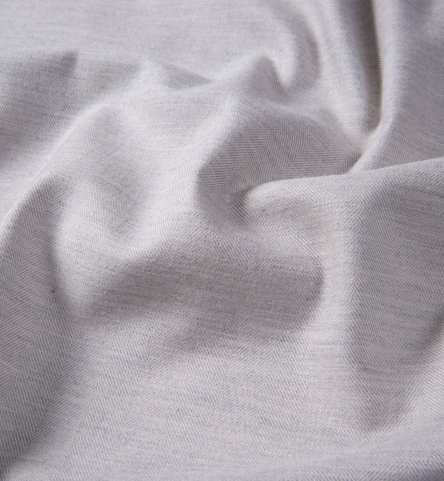 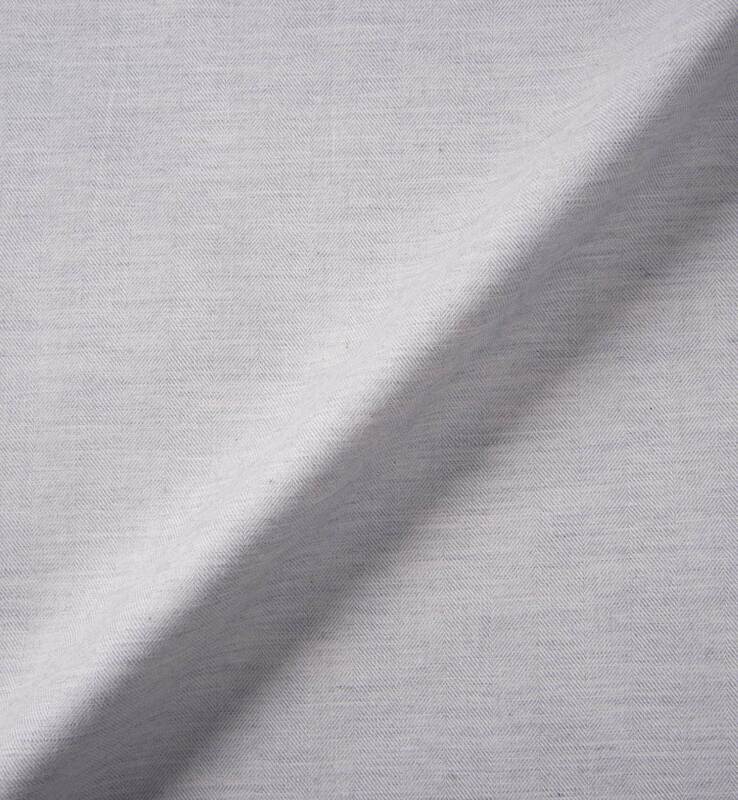 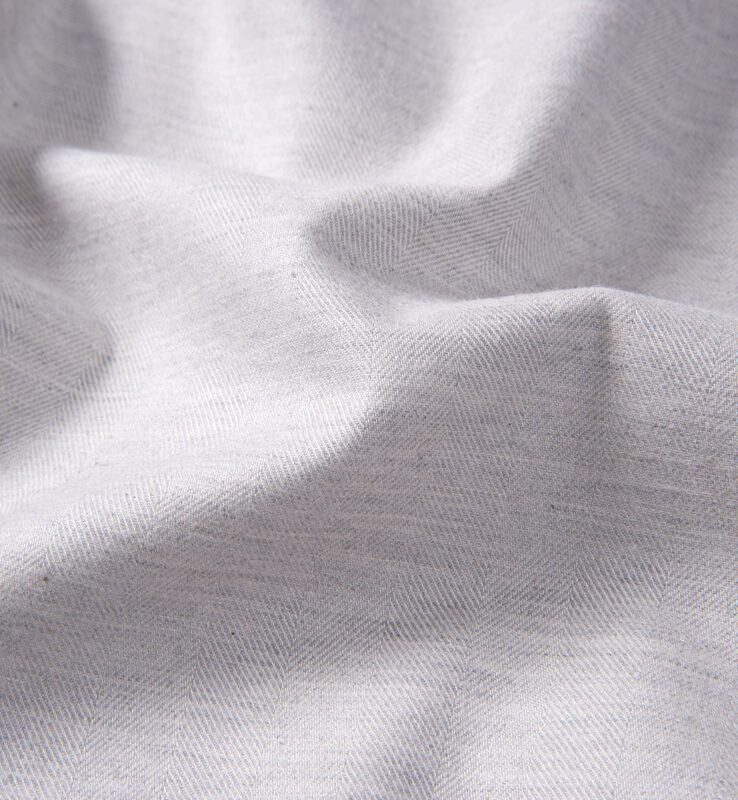 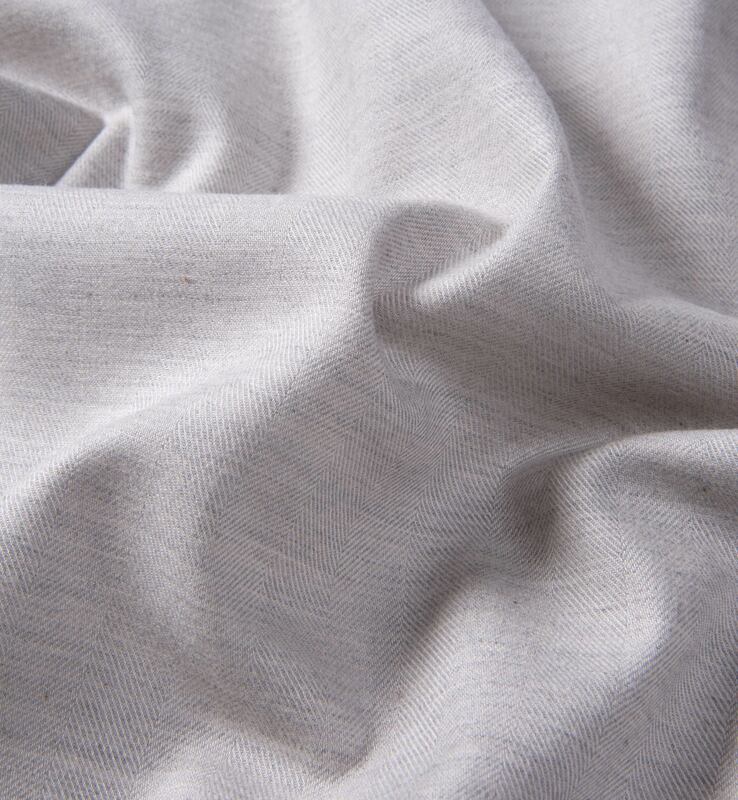 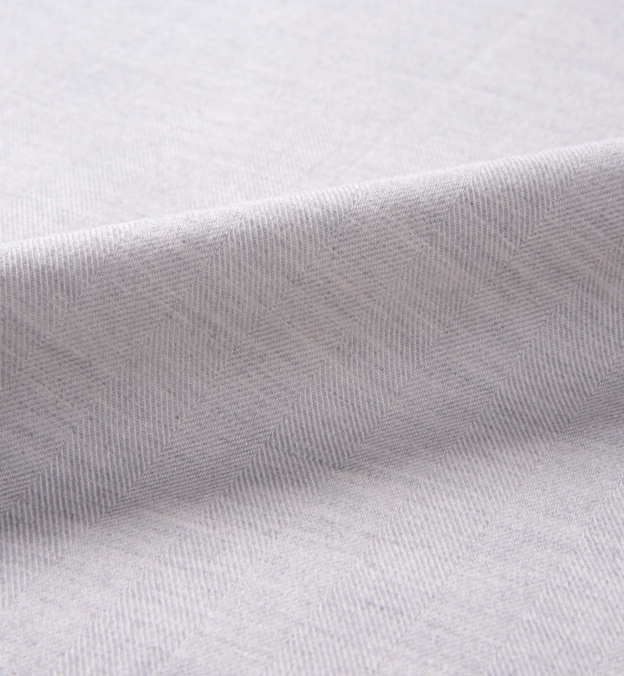 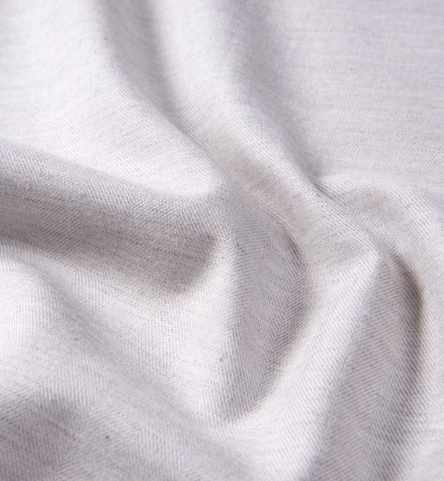 A subtle pale grey flannel made with a herringbone weave. The shade of grey is pretty light, and is warm enough to almost look a bit beige. 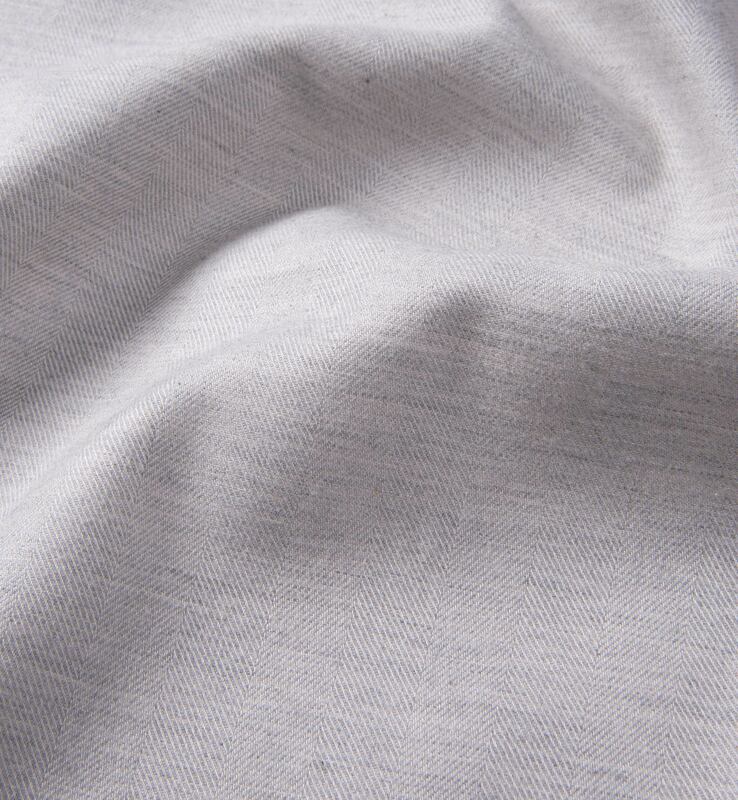 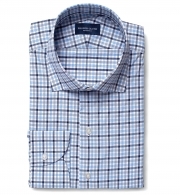 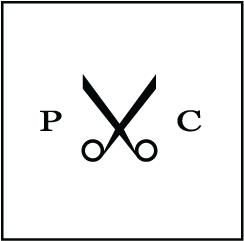 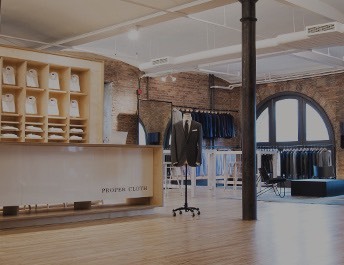 The flannel also has a melange, so you get that natural color inconsistency that looks great. 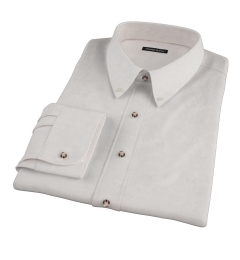 Try it with a Soft President Spread collar and soft cuffs.